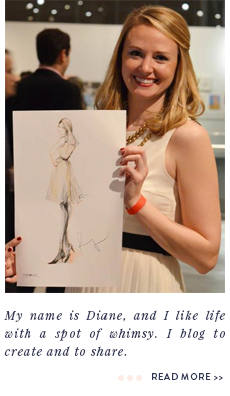 a spot of whimsy: my thanksgiving tradition. 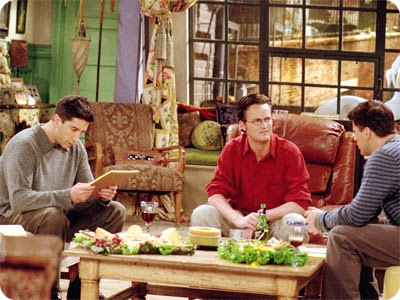 i think i already mentioned that i'm one of those crazies who can not only recite almost every line of every friends episode, but i can also relate it to pretty much everything in life. i know, crazy. luckily, my sister and my best friend from college are the same (i wouldn't want to feel alone in this)! 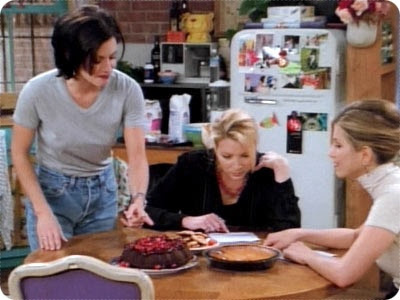 so even if you were just a casual friends viewer, you might know that each season's thanksgiving episode was a really big deal in the friends-universe. sure there were christmas and halloween and wedding (so many weddings! 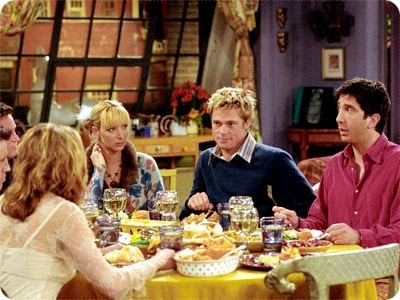 oh, ross...) episodes, but you always knew that thanksgiving was going to be one of the best of the year. 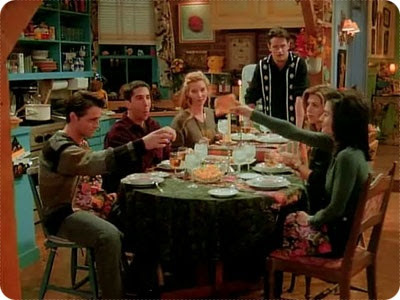 no wonder that 3 of my favorite episodes of all time are - you guessed it - thanksgiving ones. my tradition? 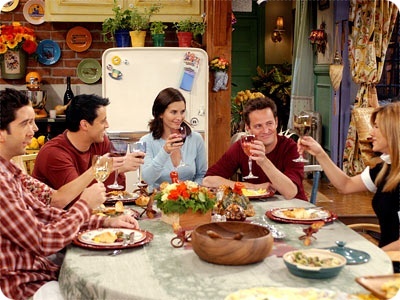 i rewatch all 10 thanksgiving-themed episodes throughout thanksgiving week. need a little refresher on them? i'd be delighted to share! This is the BEST Thanksgiving tradition, ever! 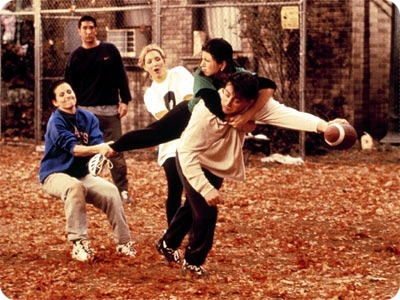 Oh, I completely relate to the Friends obsession! 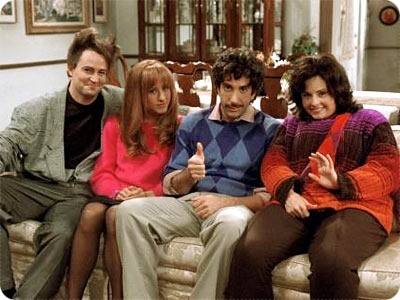 But of course, we already established that we both have the long-running tradition of watching at least one episode every night. Ha!